Portrait Front opening commercial letterboxes (also availiable in rear opening). Include key lock (2 keys) and engraved numbered strips. Latch lock (optional). Please call us regarding quotations for the commercial and strata range as significant price reductions apply for a larger number of banked boxes. We will provide you with a value for money quotation including delivery and tailored to your specific needs. Please note. No post is supplied. Colour: All commercial letterboxes are available in any colourbond colour to suits your needs. 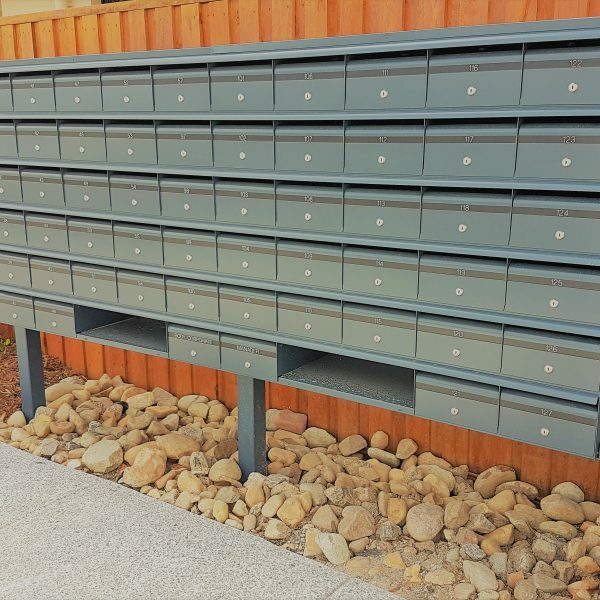 OZ Letterboxes has a range of commercial and domestic letterboxes suitable for residential homes, strata units, retirement villages, businesses and commercial properties. Several of the commercial letterboxes are available as letterbox banks. All our letterboxes are manufactured using sturdy aluminium with many quality features to ensure strength and rust resistance. 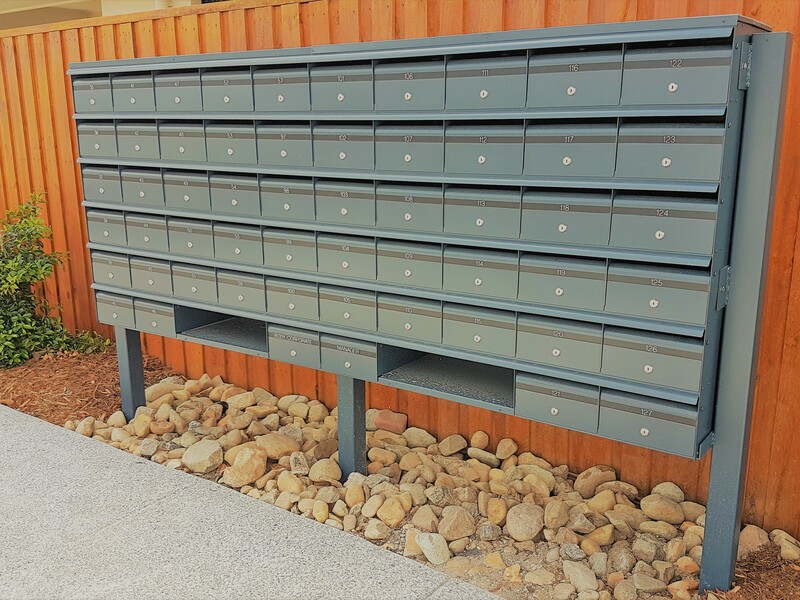 Letterboxes are manufactured to order and are available in a large range of powdercoat colours. Deliveries will be quoted on as a case by case basis depending on your location. 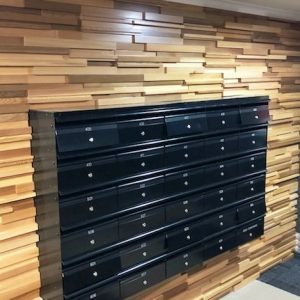 NEW, EXCLUSIVE letterbox doors now 1.8mm thick making them much more resistant to damage, as well as ensuring a high level of physical security against intruders, and at no extra cost. Design features are of a minimalistic profile with a smooth and modern face. They contain a small groove where the number strip is positioned. frames have a new stronger and more compact floor and ceiling system for our commercial bank of letterboxes. This allows us to offer a stronger and better product with no increase in cost. Doors can be replaced if vandalised, without replacing the whole letterbox. 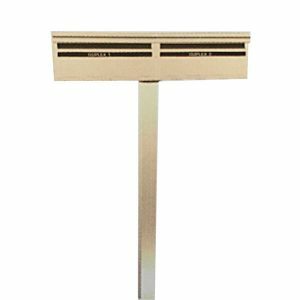 Our Oz Letterboxes products offer an extensive range of letterbox models suitable for residential homes, strata units, retirement villages, office buildings and commercial properties. 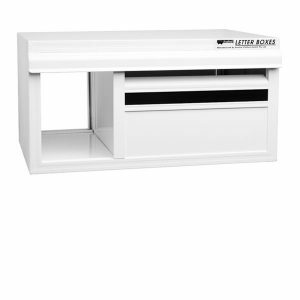 Warranty: All OZ Letterboxes are Australian Made and come with a 10 Year manufacturers warranty.